The Star of David Wool Tallit is a 100% virgin wool tallit where tradition and contemporary style meet. 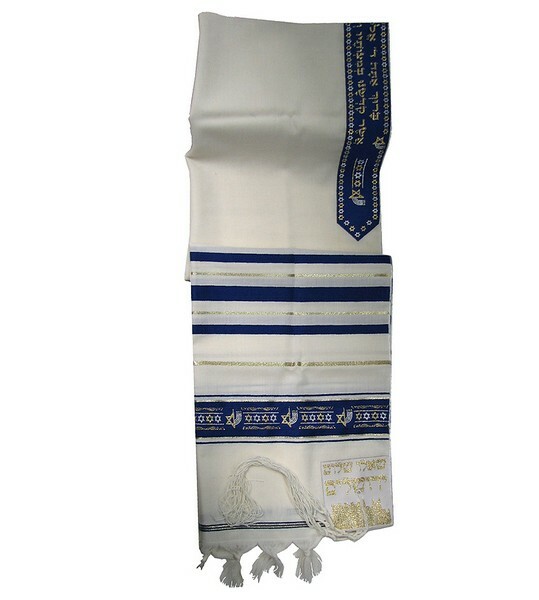 The tallit has been reproduced from the classic blue striped tradition tallit with added designs that gives it its unique contemporary flavor. The Star of David Wool Tallit boasts a pattern of clusters of Stars of David which stand out boldly, etched in the dark blue stripe background. 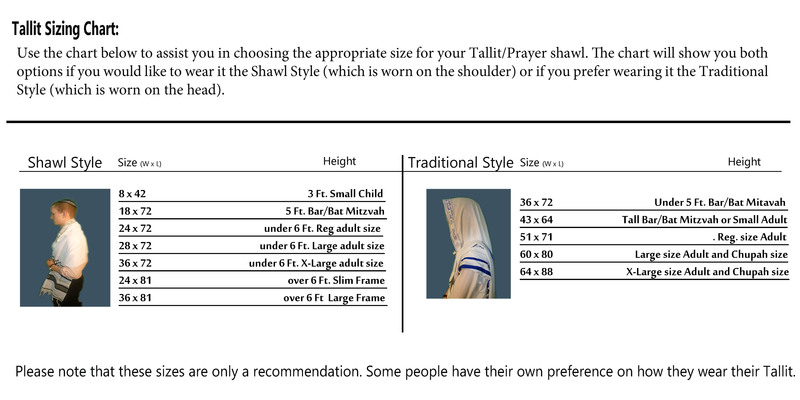 Tallit includes matching atarah neckband. All four corners are reinforced with an extra piece of matching decorative cloth. Both sides have the knotted style fringe finish. The Star of David Wool Tallit is available in both shawl and traditional style sizes.